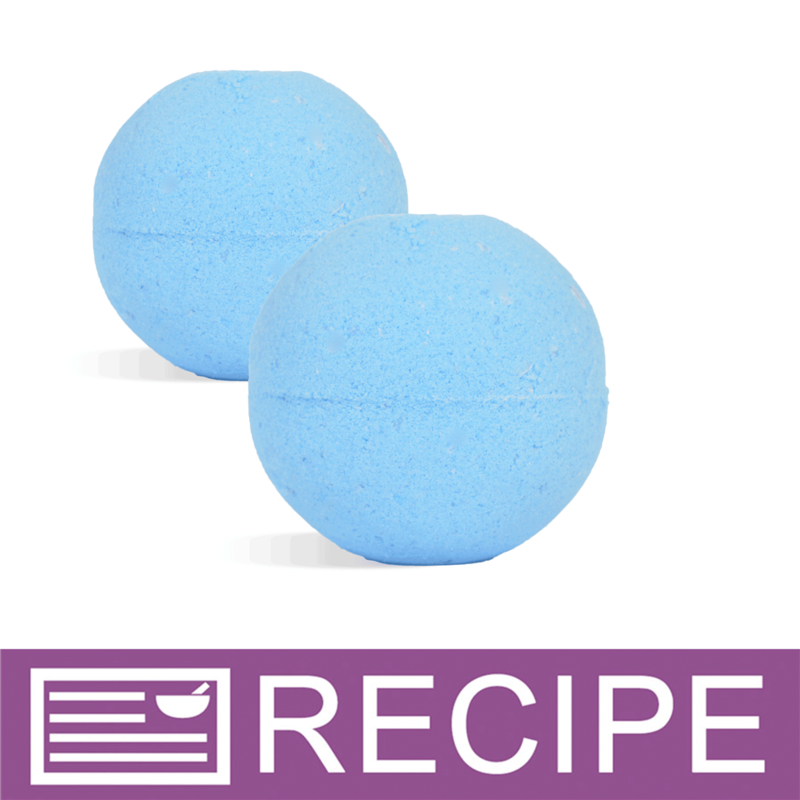 Relax in a warm bath after a long day with one of these muscle rescue bath fizzies! Relieve thoughts of tension with the aromatherapy blend of eucalpytus, orange, rosemary and peppermint. Use coffee grinder to pulverize epsom salt into powder. To large bowl, add baking soda, citric acid, epsom salt, and color. Mix well with gloved hands. Drizzle fragrance onto powders and mix. Place the molded fizzies onto bubble wrap and allow fizzies to sit for 1-3 days until rock hard. To Use: Drop into warm bath water. "I made these and they sank to the bottom of the tub! I thought bath bombs were suppose to spin and fizz on top of the water? Did I do something wrong? HELP!!!" Staff Answer Most of the time they do float on the top. Sometimes they can actually be packed too tight, which will make them heavier and harder to float. You might try adding a little less of the epsom salts and substituting some cornstarch or arrowroot powder for the salts. This can help make a lighter bath bomb which should float. "Is there another product that can be used in place of the Shea 50? Another oil or butter perhaps? Or can it be left out all together? I do not have any on hand and need to make bath bombs asap. Thanks!" 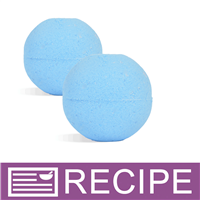 Staff Answer The Shea 50 adds moisturizing properties to the bath fizzies but since it is water-soluble, you do not need poly 80 to keep the oil from sticking to the tub. You can leave it out but we would recommend using water which will help bind the bath bomb. Add a little at a time until your mixture is the right consistency.
" Will these bath bombs leave tub slippery ?" Staff Answer Since there are no oils, other than the fragrance, they should not leave the tub slippery. But, care should always be taken when entering and exiting the tub and a warning should also be placed on your label. "Will these leave a color ring in the bathtub?" Staff Answer This recipe does contain Shea 50 which will help prevent any tub staining.